When planning an excursion, it is important to have the right equipment and having a two way radio with adequate protection against the elements should be one of the key points to consider when looking for a waterproof two way radios.Checkout our water proof two way radios lineup from major brands. 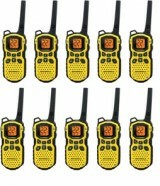 One of the more common codes or standards advertized by two way radio manyfactersrsis IP67. The “IP” signifies Ingress Protection,level of 6 signifies that the radio is completely protected against any sort of particulate matter, namely dust. 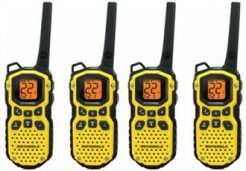 Essentially, the IP67 code tells us that the waterproof two way walkie talkie in question will hold up under harsh conditions.We at digitalnerds sells some of the top-of-the-line models of waterproof two way radios that you can use on your next excursion. .
Consumers should be aware of exactly how waterproof the device may be and thus be prone to misuse the radios.For more information water proof standards and two way radio line ups,please read our water proof two waya radio guide..